for the disease of addiction! What to do as substance addiction sky rockets across our nation? The choices seem to grow exponentially – alcohol, drugs legal, illegal and so-called designer. The issues surrounding addiction are complex. By contrast, the immediate problem is simple: those suffering the disease need help now! When an individual accepts he/she needs help… time is of the essences. Some utopian future where public policy, laws, health care reform and social consciousness come together is moot. Despair is often seen as the convincing choice. Treatment programs, group support systems, therapists and other recovery services are quite plentiful. Often families, personal physicians and employers are willing to do whatever is needed to help. In what typically feels like a complex puzzle, the most critical missing piece is access to necessary funds. Collaborating with agencies that make in-depth assessments matching treatment modality with patient needs, James’ Place Inc. raises the funds to provide these life saving and altering services. Collaboration vs. Reinvention. By offering scholarships for necessary recovery services, JPI works to fulfill the immediacy of need. Additionally, we strive to educate the public, local organizations and the medical community on this disease. While ignorance still insists addiction is a moral choice, we accept the medical model of disease as put forth by the National Institutes of Health (NIDA, NIAAA). As a non-profit, James’ Place® Inc. conducts fundraising using a variety of vehicles – local, regional events, and on-line programs. Funds also come from donors who support this effort and wish to make a difference in the lives of others. We are committed to offering hope through scholarships and educational programs on a nationwide basis. 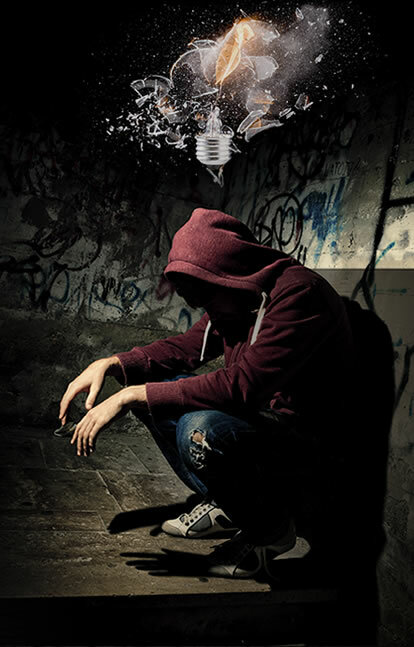 Shatter The Stigma® serves to educate on the complex issues of substances. You will find up-to-date news items, books on a host of related topics, recommended web links, awareness events and lots more. 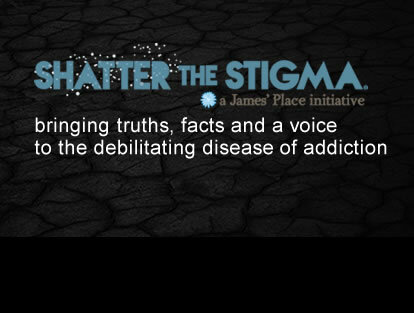 The bi-monthly Shatter the Stigma® newsletter highlights key aspects of policy trends, news reports, book reviews and others making a difference in the lives of those who suffer this disease. We are proud to join with so many making a difference across the United States. Through mutual support we endorse the great efforts of partners doing the same or similar works. Meet our Collaborative Spirit Partners here: Collaborative Spirit. Since 2007, we have been distributing wristbands of hope and compassion: No Shame or Blame ~ Just Love®. Begun as a small effort to connect parents struggling with the disease in their children, these wristbands are now used for many issues where stigma increases despair – suicide, sexual orientation, and HIV/AIDS, for example. Why James’ Place Inc.? After the death of a child, we often look for ways to reinvest the energy we would have contributed to our child’s life. Learn more about Barbara’s journey: After the Death of a Loved One. What is the source of the name – James’ Place The vision…. What’s in a Name.